We received an e-mail from a Gentle Reader who had just learned of George Austen’s existence, was unable to find much information about him, and thought perhaps there was some sort of coverup going on. Well, there was, but but it happened a hundred years ago. We’re all about transparency these days in Austenland, if we’re not actively making stuff up. However, we thought it was not a bad idea to look through our books and see what information we could pull together about George Austen, Gentleman. 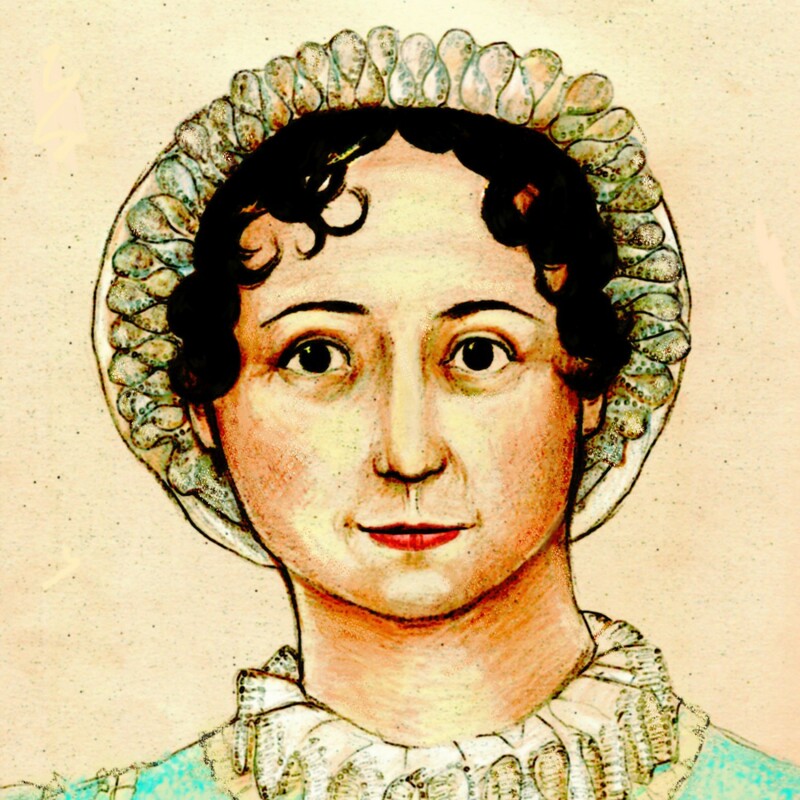 Jane Austen was the seventh of eight children of George Austen and Cassandra Leigh Austen. If you read some of the older biographies, you would be forgiven for thinking that Jane had only six siblings–five brothers and a sister. James Edward Austen-Leigh’s Victorian sensibilities unfortunately led him to leave one of Jane’s brothers out of his Memoir of his aunt: George, the second Austen son, named for his father. It is possible that Edward forgot all about poor George; he never lived with the Austens except for a few years of childhood, and Edward was writing the Memoir sixty years after Jane’s death and forty after George’s. In any event, it was only in the later part of the 20th century that Austen biographers acknowledged George’s existence, and because of the failure of his own or the following generation to mention him, there is not that much to tell. George was born in 1766, and like his siblings, sent out to a neighboring cottage to be nursed until he was old enough to not need constant tending. Unfortunately, it became obvious early that he was not developing like most children. Jane’s surviving letters never mention George, but letters from various family members mention him. The Rev. George Austen wrote that he took comfort that his second son “could never be a bad or wicked child.” George’s godfather, Tysoe Saul Hancock, Mr. Austen’s brother-in-law, mentioned in a letter to his wife Philadelphia about “the case of my godson who must be provided for without the least hopes of his being able to assist himself.” It seems clear from these comments that the family considered George to be mentally deficient. In 1770, Mrs. Austen wrote to another sister-in-law that three-year-old George had suffered a fit for the first time in a twelvemonth. It is unclear what she meant by a “fit”–it is possible, of course, that George suffered from epilepsy. Mrs. Austen’s brother, Thomas Leigh, also had unspecified mental and/or physical problems. He was housed with a family named Cullam or Culham in the Hampshire village of Monk Sherborne, and eventually George was sent to live there as well. Short of actually keeping him in the family–and with seven other children to deal with, not to mention the boys being tutored by Mr. Austen, who also lived at Steventon, it is difficult to criticize the Austens for sending him away to be cared for–this might have been the best option, certainly better than sending poor George to some kind of public asylum. Mr. Hancock’s daughter, Eliza, married and gave birth to a child who also had “fits” and did not develop like other children; he was slow to walk and talk. Eliza’s cousin, Philadelphia Walter, wrote to her brother that they feared Hastings would be mentally deficient like “poor George Austen.” Hastings, however, remained with his mother, who tended him loyally until his death at age fifteen. Many scholars think that George Austen was deaf as well. In one of Jane Austen’s letters, she mentions talking to a deaf man “with my fingers,” that is, using sign language, so it is thought that perhaps Jane learned sign language to communicate with her brother. Deafness in itself was not enough to banish George to obscurity in a cottage, so if he was indeed deaf, it was in addition to other health problems, whether mental or physical or both. Austen biographer Claire Tomalin opines that George may have suffered from cerebral palsy, which often is accompanied by deafness, and certainly would have kept him from walking. It is horrifying to think that George, limited by physical problems, might have had a perfectly good mind, but was unable to communicate, and assumed to be mentally deficient–imagine having the brain of an Austen, and no way to use it! But all this speculation on George’s condition is just that: speculation. We know only that his family considered him to be unable to take care of himself. At Mrs. Austen’s death in 1827, some stocks that she owned were sold and the proceeds divided among her living children, except, strangely, for George. Edward Knight, who was of course adopted by rich, childless cousins, did not need this money, and made it over to George to pay for his care. Tomalin, Claire. Jane Austen, A Life. New York: Alfred A. Knopf, 1998. Tucker, George Holbert. A History of Jane Austen’s Family. Gloucestershire: Sutton Publishing Limited, 1998. Pride and Prejudice Musical in Seattle and MAYBE New York! Very interesting. Times have changed so much. My own children are on the autism spectrum. I know that because my son didn’t talk until he was four that had we lived eve 50 years ago, never mind 200, we would have been told we couldn’t care for him and that he was mentally disabled. He has a mind like a sponge—I’ve learned never to underestimate what he knows just because he has trouble communicating verbally. Young George’s delayed development, long life plus history of seizures are compatible with various syndromes and conditions. I don’t think that the mention of his sister having once used sign language should be taken as evidence of his having been hearing impaired as it is my understanding that we have no proof that she ever even met this brother let alone spent significant amounts of time with him. George was nine years older than Jane so had been living away from home in another village long before she was born. Given how perceptively and frequently, in my opinion, Jane Austen writes about social awkwardness and people who are challenged by conversation, it is likely that she knew and/or was related to people at the mild or Asperger’s end of the autistic spectrum. Genetic studies suggest that autistic spectrum disorders are caused by a complex combination of genetic and environmental factors. At the milder end, people did and do function in society with varying levels of success although they often puzzle others. However, George might have had traits in the moderate to severe range. If, as a toddler, he showed a pattern of characteristics such as language delay, avoidance of eye contact, sensory sensitivities and limited interest in interacting with others, the medical knowledge and accepted beliefs of the period may have meant that his parents felt that finding a quiet, undemanding home for this son was the best thing both for him and for their other children. Afterall, such beliefs continued to be common into the middle of the 20th century. Now, in the 21st century, whatever the cause of George’s challenges, recent advances in neuroscience, psychology and my own field, speech language pathology, would likely be able to provide a clear diagnosis on which to base appropriate interventions and supports for a similar child and his family.